Big Congratulations to St. Cronan’s staff, who are pursuing a Major Healthcare Support Award,as they receive their Certificates on successful completion of a number of the required modules. 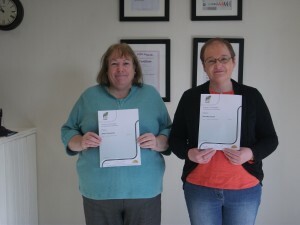 Aileen Dooley and Annette Carson receive their certificates. 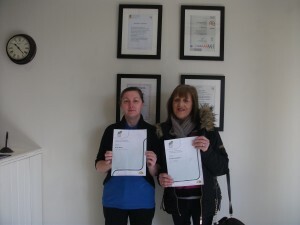 Sarah Bailey & Rosie O’Riordan receive their certificates.